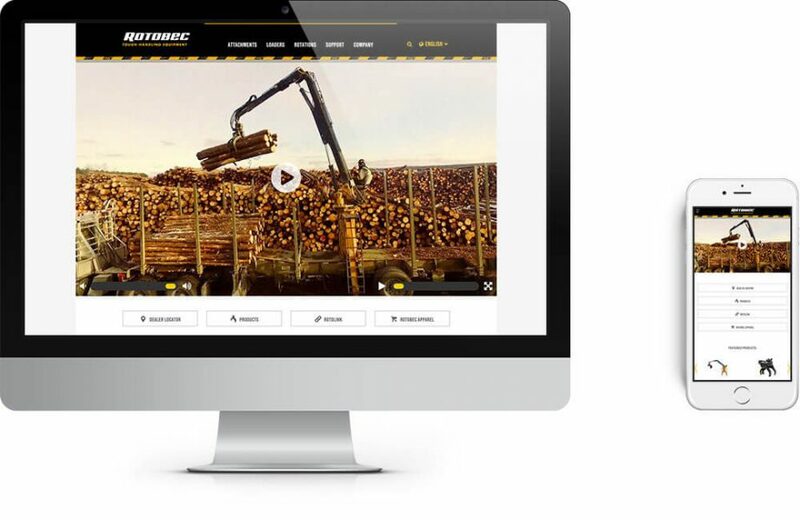 With Offices in British Columbia, Alberta and Quebec, Rotobec Equipment is an industry leader in construction equipment. 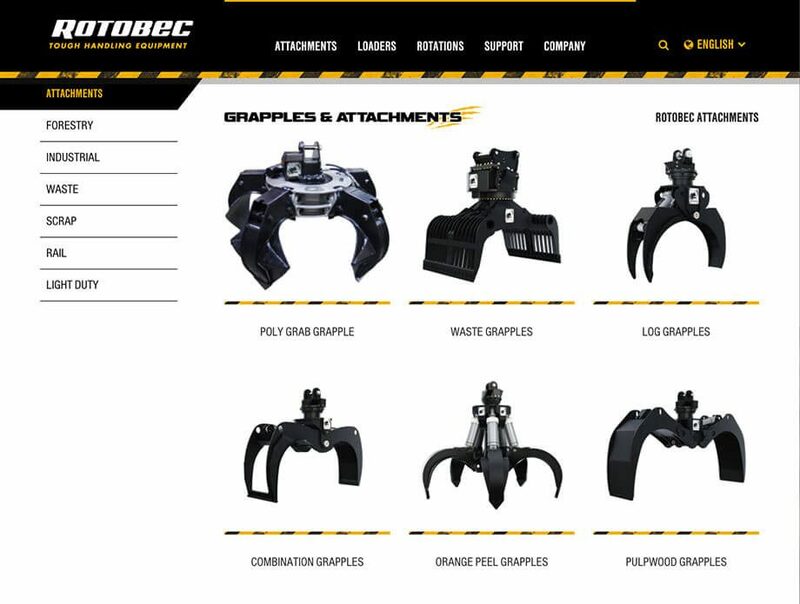 Coming to us in 2015, Rotobec was looking to build a web presence as impressive as their catalogue. 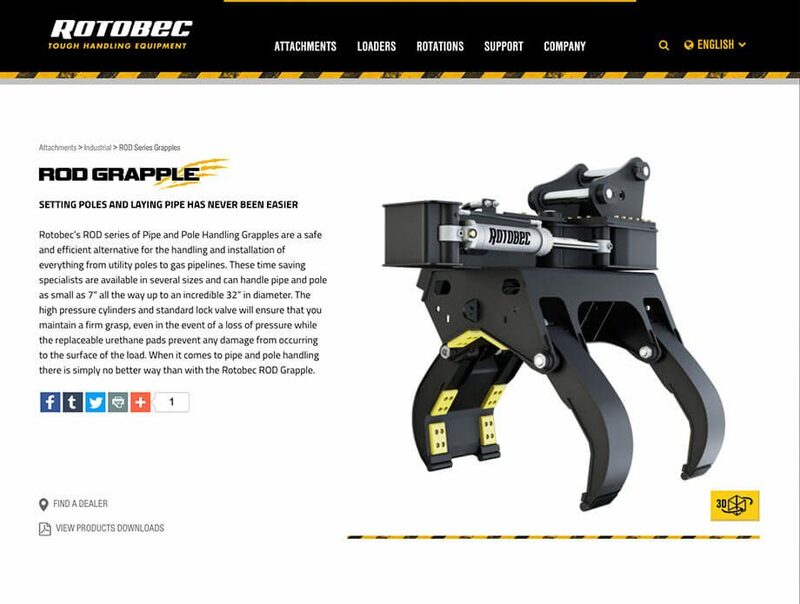 Rotobec came to us requesting a website that not only would display the the large amount of information about each product but showcased their products visually engaging way. It was a challenge, but after countless cups of coffee at our Vancouver office we came with a design that guided their users to the content they looking for. The design we created at SplitMango allows users from around the world access the website across multiple languages. Using the WordPress platform we able make this complex task simple for site administrators and users alike. Rotobec’s brand is a powerful identity with many dedicated consumers worldwide. The site includes a store that allow consumers to purchase apparel and accessories to show their passion. This added to the amount of content the site needed to manage. We were up to the challenge and delivered a superior product that continues to engage their customers today. Implementing our design team’s beautiful mock-up required careful planning and strategy from our development team. The site would contain so many models and products it must be easy to navigate for both administrators and users alike. We carefully categorized and developed the sites infrastructure before integrating multi-language capabilities and e-commerce. This allowed us to focus on the content first, built a perfect foundation that allowed for growth. We dove deep into WordPress’s advanced development technology to build this foundation. Once the groundwork was developed we carefully crafted the site to show the visitors content was relevant to them as they traversed the site. The site integrated outside content and functionality on pages like the News which displays content from the company’s facebook page. This allowed them to manage their content in one place while delivering to multiple networks across the internet. Building a site that could amplify a company’s growth is core belief of our development strategy. Since launch we continued to support Rotobec’s website with the addition of another language and page updates to help increase the sites ranking in search results and other improvements to strengthen the sites SEO (search engine optimization).